The aim of every competitive basketball match is for either of the teams to score as many points as possible in a variety of ways and from any angle or position possible. In pursuance of this, basketball teams often scout and sign up players who have a versatile scoring ability and it is in a quest for this that Furkan Korkmaz comes of honorable mention. Furkan is a professional basketball player with the Philadelphia 76ers in the National Basketball Association (NBA) from Turkey. He is a natural shooting guard with a special ability to create shots for himself or his teammates. Similarly, the Turkish baller is also famed for being able to score in a variety of ways. Furkan Korkmaz celebrates his birthday every June 24th as he was born on that day under the Cancer Zodiac sign in the year 1997 in Bakırköy, Istanbul, Turkey. There is not much information documented about his childhood but we know for certain that he started playing B-ball with his school’s team when he was as young as 9 years old. The kid had his first big basketball move in the year 2012 when he was 15 years old as he moved from Efes’ junior team, Yeşilyurt Spor Kulübü to Anadolu Efes for $250, 000. Anadolu is the most successful basketball club in Turkey having won the top league trophy very many times. In his new team, Furkan Korkmaz began playing for the junior and youth team of the outfit before he was loaned out to Pertevniyal to play in the Turkish second-tier basketball league in the 2013-2014 season. He proved his worth playing in the 2nd-Tier and soon enough, by the summer of the 2014 season, was back with Anadolu Efes but no longer in the youth team; he was promoted to the senior team. Word had already begun spreading about him with teams in the NBA hoping to land the lad to their side. The Philadelphia 76ers would then go on to select Furkan in the 2016 NBA Draft as the 26th overall pick in the first round of the draft. After being drafted by the American based team, Korkmaz requested to spend one more season with his Turkish based Anadolu Efes team to further develop his game and his request was granted. On his arrival, the Istanbul based team loaned him out to Banvit in December 2016 and as expected, he changed the team’s fortune faster than they could have imagined as he helped to secure their first Turkish cup win. After his one year stint in his birth country, Furkan Korkmaz returned to the Philadelphia 76ers who sent him to the Delaware 87ers, players in the NBA G League to invest his rookie season in getting a taste of what American basketball was like. With his return from the G-League, Furkan Korkmaz was no doubt poised to do exploits in the apex basketball league. 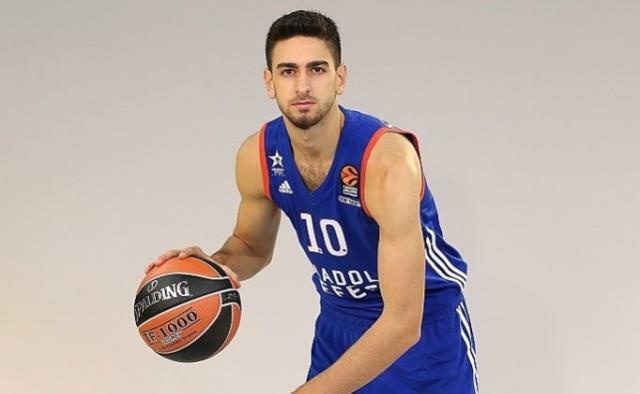 Furkan Korkmaz the Shooting guard / Small forward made a wise decision in choosing to return to Turkey to further develop his game after being drafted by the Philadelphia 76ers. In Turkey, he improved to 24 minutes per game in 29 appearances with which he logged his career high 828 minutes. The 6 ft 7 in (2.01 m) tall basketballer is famed for his unique ability to fire up his shots without delays in circumstances where a pass wasn’t perfectly thrown at him. In doing this, he has been able to hit 43.7% of his 142 three-point shots while playing in Turkey. Furkan’s lanky look is actually more of an asset to him, he has consistently shown his ability to shoot above taller defenders due to his extended elbow reach when he gets on the release. He is very speedy in the court and is creative with the ball as he plays with both hands and has his head up while in play. Despite the good reports above, Furkan Korkmaz still has a lot of work to do on defense. He gets worn out by bigger wings and this has made it difficult for him to disrupt balls off his opponents, force steals and make high rotations. Nevertheless, as he builds his physical strength, he can improve a lot in this regard and perhaps improve his defensive records.